PHD, Omnicom Media Group, has today announced the launch of Engine – a specialist unit built for automotive brand Volkswagen, which has been designed to capitalise on the volume of anonymous data being generated by consumers researching cars online. The new approach, which will roll out globally in Q4 this year, will ensure Volkswagen can deliver relevant content to consumers as they move through their digital journey to purchasing a vehicle. Engine pulls together technical experts from Omnicom Media Group agencies PHD, Annalect and Adylicto support technical operations, audience building, dynamic creative and performance reporting. PHD will manage Engine experts across OMG. These teams will be housed in four regional hubs supporting relevant local Volkswagen and PHD programmatic buy optimization teams who will manage their own local campaigns. Thecollective hub and local focus will be driving effectiveness and cost efficiency in delivering core digital consumer behavior KPIs. “In today’s automotive path to purchase, the “sale” is done online while the “deal” is finalized in the dealership. Consumers are researching automotive purchases online and thereby creating an explosion of data which gives us an unparalleled opportunity to offer them more relevant and engaging contentto address their specific questions / needs during each stage of their purchase journey. The support Engine will providegives our local teamsthe expertise to maximize the effectiveness and efficiency of paid data led marketing communications across online video, display, search and social. It essentially allows us to rapidly globally scale the results we have achieved in a few markets.”, commented Oliver Maletz, Global Head of Communications and Media VW-Brand. 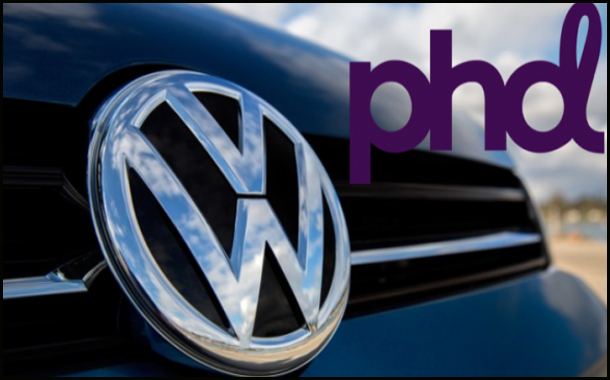 “This is an exciting step forward for both PHD and Volkswagen.By creating these unique, hub-based teams with technical expertise, data analytics and creative, local PHD & Volkswagen can fully leverage the programmatic media and technology landscape to drive improved results for our client.” said Paul Hawkey, Global Business Leader for Volkswagen at PHD. According to research by Sophus, visits to car dealers has dropped from 4.3 in 2010 to just 2 in 2016. Instead, modern audiences are test driving from the sofa, with 88% researching online, 58% on their smartphone and 58% watching video online before setting foot in a dealership (Google Gearshift Survey).